Define your home’s exquisite appeal with the ornate authenticity and impassioned design of the Grande Victorian Plate. Combined with the Fifth Avenue knob, the look is surprisingly sophisticated, yet primitive. 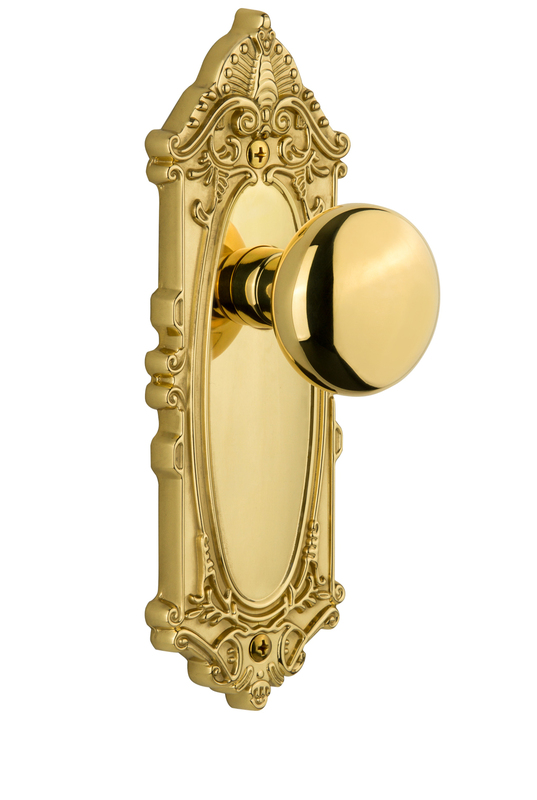 All Grandeur products are created from solid (not plated) forged brass.